Which teams won and which teams lost at the MLB trade deadline? The MLB trade deadline is over and gone, and now it’s time for the best part of the post-deadline days – determining the winners and losers coming out of the deadline. Here are our picks for five winners and five losers. Winner: Baltimore Orioles. Baltimore did well at the deadline, moving a bunch of players and contracts while also managing to bolster their farm system. Over the last two weeks of July, the Orioles traded Brad Brach, Zach Britton, Kevin Gausman, Manny Machado, Darren O’Day, and Jonathan Schoop to the Braves, Yankees, Dodgers, and Brewers, acquiring a total of 15 prospects (!!!!) in the process. Despite all that, the Orioles still have $58 million in salary commitments for 2018, but hey, that’s better than the $148 million they came into the season with. The only players the Orioles could have traded but didn’t were outfielder Adam Jones (who reportedly declined to approve any deals, thanks to his 10 and 5 rights), starter Dylan Bundy, and reliever Mychal Givens (who will both head into their first arbitration year this winter). Baltimore needed to jump start their rebuild, and they certainly managed to do that with these five trades. Loser: New York Mets. These two tweets sum up the Mets at the deadline. We will have a conference call at 4:30 with the Mets front office to discuss the trade deadline. The Mets have not said who will represent the front office. The Mets made two trades this month, sending closer Jeurys Familia to the Athletics (in what was roundly called an embarrassing return) and infielder Asdrubal Cabrera to the division rival Phillies. They didn’t flip catcher Devin Mesoraco, which was the whole point of acquiring him from the Reds for Matt Harvey. They didn’t move on from any of their starting pitchers, including the oft-injured Zack Wheeler. Hell, they didn’t even trade Jose Bautista, who was somehow getting interest this summer after the Mets picked him up FOR FREE earlier this year! For such a bad team, the Mets did far too little at the deadline, despite having the pieces to do so much more. Winner: Los Angeles Dodgers. The Dodgers are in “win now” mode, and they tried to bolster their chances at the deadline this year. 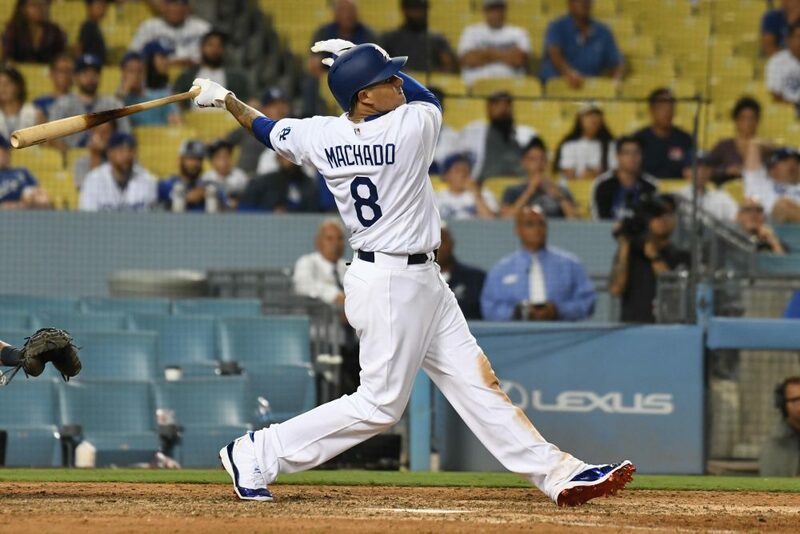 Acquiring Manny Machado was a no-brainer to replace the injured Corey Seager, and swapping Logan Forsythe for Brian Dozier improves their offense at second base. Throw in the acquisition of reliever John Axford, and you’ve got all the makings of a competent deadline that improves a contender for the remainder of 2018 while not sabotaging its future in 2019 and beyond. Loser: Washington Nationals. Yeesh. The Nationals, still under .500, made a big splash in June by acquiring Kelvin Herrera from the Royals. They proceeded to stand pat for the next week, not making any gains in the division, and then traded reliever Brandon Kintzler to the Cubs while also having to spend a fair part of the final week of July fanning the flames of Bryce Harper trade rumors. I understand if Mike Rizzo and company like their team, but time is running out on 2018, and the Nationals did nothing to help their dimming chances over the final two months of the season. Winner: Tampa Bay Rays. 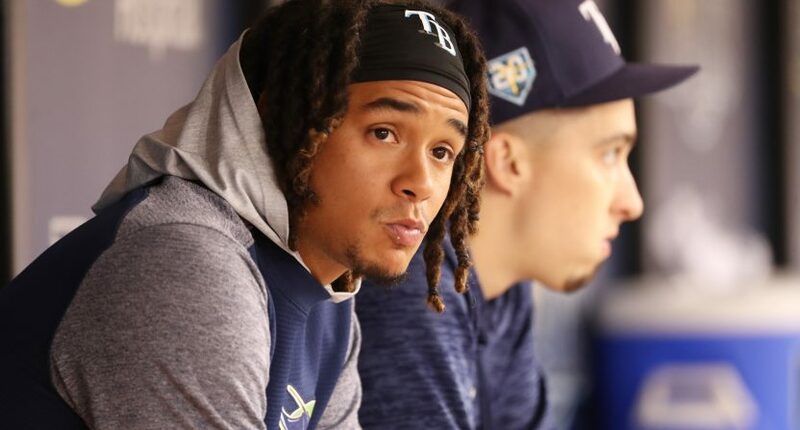 The Rays finally cashed in their biggest trade chip in Chris Archer, and the payout from the Pirates was encouraging, with former top 25 prospects Tyler Glasnow and Austin Meadows heading to Tampa Bay in return (along with a player to be named later). Tampa Bay also cashed in a rental arm in Nathan Eovaldi, and made the most of swingman Matt Andriese, dealing him to the Diamondbacks. They also were able to achieve a return (however disappointing it may have been because of his hamstring injury) for Wilson Ramos, sending the catcher to the Phillies. It has to be somewhat disappointing for Rays fans to see Archer finally go, but unlike the David Price trade all those years ago, they’ll be able to see the fruits of the return sooner rather than later. The Rays also managed to cash in some of their prospects to acquire Tommy Pham from the Cardinals, who had apparently fallen out of favor in St. Louis. I wouldn’t be shocked if the Rays actually finished above .500 (the mark they’re currently at) in the second half of the season, despite losing so many players you’ve heard of. Loser: Kansas City Royals. The Royals did well to trade Kelvin Herrera early before the reliever market got flooded, but they didn’t get an incredible return from Washington. They also made the right move (a year too late) in trading Mike Moustakas to Milwaukee in exchange for a pair of prospects. But aside from those two moves, the second-worst team in baseball didn’t do much. Whit Merrifield is still a Royal, as is Danny Duffy (and the rest of the Royals with minimal value, like Alex Gordon, Jason Hammel, and Ian Kennedy). They didn’t have many assets to sell, and didn’t make the most of the ones they had. That’s not a good thing. Winner: Atlanta Braves. I tried to succinctly sum up the Braves’ trades on Twitter on Tuesday afternoon. Atlanta acquired Brad Brach, Kevin Gausman, and the injured Darren O’Day from the Orioles for international slot money and four minor leaguers, none of whom ranked among the team’s top ten prospects (and only two of which were among the team’s top 30). They acquired Jonny Venters from the Rays for international slot money (which, by the way, they couldn’t really use). Adam Duvall was acquired from the Reds for Preston Tucker (who they bought from the Astros this winter), Lucas Sims, and Matt Wisler, the latter two of whom could not stick in the majors and consistently produce. The Braves go into this offseason with their deep farm system still intact, and lacking extreme financial commitments past 2018. When you’re able to add four players to your active roster without damaging your short-term or long-term flexibility, that’s incredibly valuable. Loser: San Francisco Giants. The Giants are scuffling, and are hanging out at fourth place in the NL West with the rest of the divisional pack streaking away from them. San Francisco’s deadline activity wasn’t exciting – they did nothing. Andrew McCutchen is still a Giant, Matt Harvey is still not a Giant, and San Francisco’s stable of interesting-ish pitchers remains wearing orange and black. 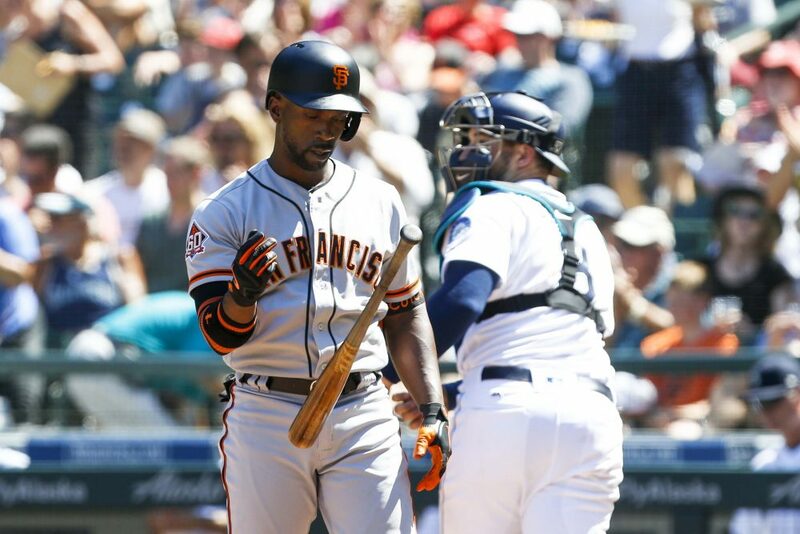 The Giants were stuck in that weird limbo in the National League, somewhere in between contention and waving the white flag, and managed to remain there after the deadline. Winner: Pittsburgh Pirates. The Pirates started Tuesday with a widely praised move, acquiring reliever Keone Kela from the Rangers. They ended the day with baseball’s top deadline prize – Chris Archer. Archer will slide into Gerrit Cole’s (hey, remember him?) old slot at the top of Pittsburgh’s sneaky good rotation and Kela will hop into a bullpen that has been far better than you probably realize. The Pirates are still 3.5 games out of the second Wild Card in the NL, but these trades weren’t just about this season – both Archer and Kela come with multiple years of control, and Pittsburgh only has two free agents (Jordy Mercer and Sean Rodriguez) this winter. Incredibly, the Pirates have moved themselves into the position of contenders, less than a year after trading Cole and franchise face Andrew McCutchen (who is now looking up at the Pirates in the Wild Card standings). Loser: Houston Astros. The defending champions’ acquisition from Roberto Osuna from the Toronto Blue Jays is a defensible baseball move, given Osuna’s status as one of baseball’s best closers when healthy, but it’s far less defensible considering his domestic violence suspension. I can appreciate why the Astros wanted to bring him aboard, but it’s simply bad PR to bring him in, especially given that his suspension is still ongoing and he has a hearing about the legal ramifications of his actions this week. The bad publicity from the Osuna acquisition is also enough to overwhelm the lower key trades that brought Martin Maldonado and Ryan Pressly to Houston.